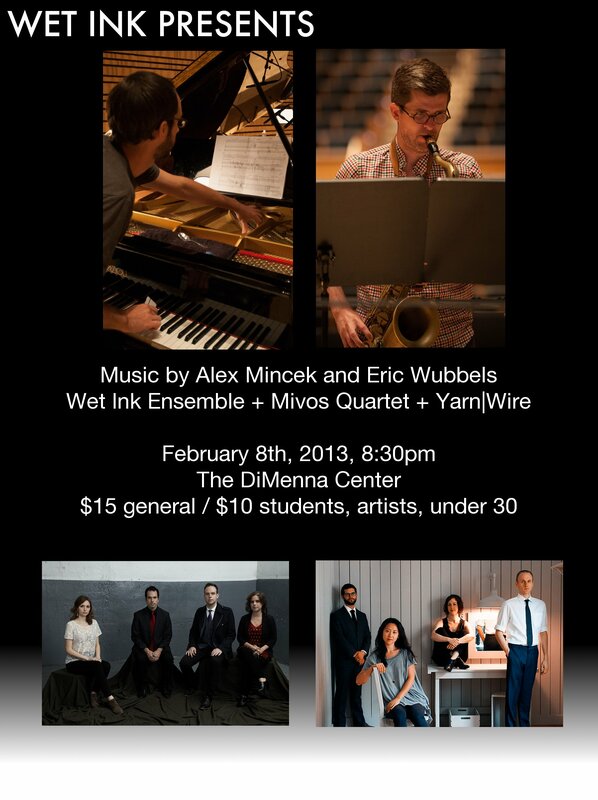 Really excited about this concert, please join us on February 8th! I will have the privilege of performing two of my very favorite pieces, Alex Mincek’s String Quartet No. 3, “lift-tilt-filter-split” (with Mivos Quartet), and Eric Wubbels’ “the children of fire come looking for fire”, for violin and piano.